About 15 miles north of Myrtle Beach lies the city of North Myrtle. Incorporated in 1957, North Myrtle joined the beaches of Cherry Grove, Ocean Drive, Crescent Beach, and Windy Hill into one. It was small, quiet and mostly residential with the mom and pop hotels for many years, but the condo boom in the mid 2000's changed that completely. Ocean Boulevard is now lined with some of the finest high-rise resorts on the east coast, and very few of the family-owned hotels still exist. Those who are interested in an oceanfront vacation condo have an almost un-ending choice of location, type of resort, and amenities. 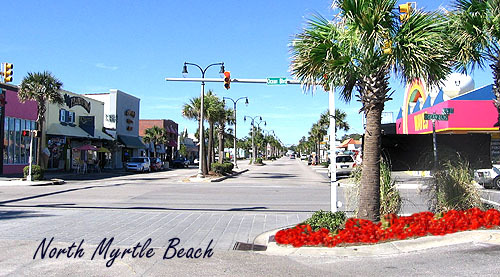 Read more about North Myrtle Beach real estate. Beach homes are also plentiful, and most of them are grand new 2 and 3 story giants with 8 and 10 bedrooms. There are some older residential homes right on the beach, though, and good bargains can be found with foreclosures in these as well as some condominiums. This is the best time ever to buy a vacation property for the least amount of money and with rental income potential increasing year after year. Those looking for a home to live in can have it all. From brand new patio homes a few blocks from the ocean to beautiful Intracoastal Waterway homes, North Myrtle Beach offers it all. Golf course and Waterway condos abound, and new construction has begun to add even to new homes of 5-10 years. Among our favorite oceanfront condos in Myrtle Beach, we suggest Baywatch Resort, Prince Resort at the Cherry Grove Pier, Laguna Keys, Crescent Shores, and many others. 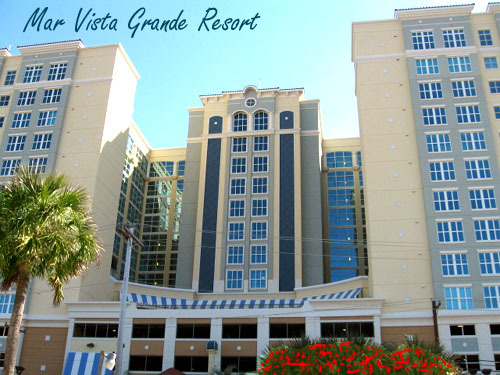 The newest and most grandiose of the beachfront resorts is the North Beach Plantation Towers in Windy Hill. These are absolutely fabulous! Golf Course condos of every type can be found in the sprawling community of Barefoot Resort, with townhomes, patio homes, and the awe-inspiring Yacht Club Villas on the Waterway, complete with restaurant and marina. We also recommend homes and condos in the Tidewater Golf community and new ones are going up on the west side of Highway 17 up and down the city length. If your interest is more towards budget condos, low taxes, and some of the best Waterway condos around, look to Little River, SC ... the small town on the outskirts of North Myrtle Beach and bordering North Carolina. We recommend Lightkeepers Village, Coquina Harbour condos, Harborgate Villas, Cypress Bay Golf Course, and Plantation Harbour. 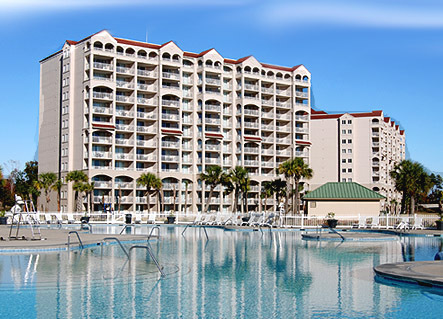 Whatever your choice of property, North Myrtle Beach offers it all. Those who have vacationed here all their lives wouldn't consider buying anywhere else. The restaurants are just as plentiful, as well as live entertainment and boundless shopping at the famed Barefoot Landing shopping complex. We'll be glad to show you the town. Contact us for more information or to schedule a tour.